There are many different actions that can lead to criminal charges, many of which appear innocuous at the time the person decides to engage in the behavior. 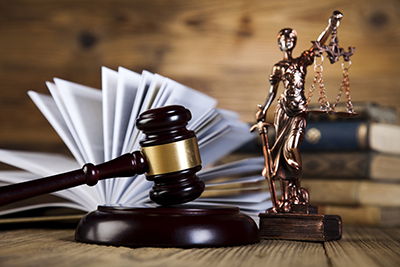 Regardless of how a person found himself or herself in a situation where criminal charges were being brought, it is important to get the advice and representation of an experienced Virginia criminal defense attorney as soon as possible. Drug possession and other drug-related crimes. Any criminal charges must be taken very seriously as they can impact a person’s ability to pursue the career of his or her choice. In addition to the possibility of lengthy incarceration and significant legal fines and restitution, misdemeanor or felony convictions can prevent a person from obtaining certifications and licenses necessary to work, in addition to limiting the ability to obtain a required security clearance for some jobs. A conviction also may impact a person’s ability to bear arms or vote in an election. Certain criminal convictions even may impede a person’s opportunities to qualify for certain housing or loans. All of these things mean that a person charged with any crime must have a knowledgeable and dedicated advocate to minimize the impact of the charges. At Swango Law P.C., we work with our clients to determine the entirety of the circumstances leading to the criminal charges, as well as their goals, to develop a strong defense. We focus on doing everything possible to minimize the consequences of the charges to maximize their chances for a successful future. If you have been charged with a crime in the Commonwealth of Virginia, it is critical to getting the right legal help as soon as possible. Even if the prosecutor attempts to convince you that it is easier to negotiate a plea directly, this could have dire consequences. Jason Swango represents clients in the Hampton Roads, Virginia area, including Virginia Beach, Norfolk, Chesapeake, Hampton, Portsmouth, Newport News, and Suffolk. Call us today at (757) 383-9229 to schedule an initial consultation.